In yesterday’s post Without Cost You Have Received; Without Cost You Are To Give I mentioned it feels like I’ve been drinking from the fire hose of Grace this week. It has been a spectacular week for me and it seems I see God working in my life about every time I turn around. The week started off especially nice as it was a four day weekend for me. I took Friday off and then Monday was Independence Day holiday. I had a stress-free four days away from work during which time I worked like a dog around the house and got several projects started or completed which I had put off for too long. Monday began as any typical holiday but by mid-day it unfolded into a beautiful blessing for my family. It wasn’t the red white and blue patriotism, or mouth-watering barbeque or the thrill of the fireworks. Nope. It was the call at mid-day from our daughter, Mary, in Louisiana saying she was in labor with her first child and that he would probably be a Fourth of July Firecracker baby. This would be my third grandchild and my second grandson. Being a father of four daughters, I kind of like this grandson business! My projects took a back seat to the rest of the afternoon spent mostly in prayer including a rosary. I prayed for a safe delivery, that God would guide the hands of the physicians, and that baby and mother would both be healthy considering he would be entering this world two weeks early. God delivered and by early evening I was looking at texted pictures of our beautiful new grandson, Patrick, and huge smiles from Mary and my son-in-law, Michael. Patrick was perfect. Two thoughts crossed my mind: that he was made in the likeness of God Himself; and that the birth of a human child is surely one of God’s greatest achievements, his most beautiful miracle. Tuesday was spent floating in air, my heart about to pop the buttons off my shirt! I don’t know how many times I stopped during the day to pray, to give thanks to God for so many prayers answered and to pray more for continued good health for mother and baby. On Wednesday morning I found myself back walking on the ground but still so grateful for God’s blessing. I got a few things accomplished at my office before noon when I received another special phone call. My daughter, Lisa, who lives in Kansas, was heading to the hospital to deliver her second child and second son, also two weeks early. It was like déjà vu. Stop what I’m doing and start praying. Instead of going to lunch I stopped by church and prayed a rosary in Adoration in the Blessed Sacrament chapel. I had to drive four hours on business that evening so I had plenty of time to pray in the car and I managed two more rosaries. Lisa’s delivery didn’t go as quickly as Mary’s and it wasn’t until Thursday afternoon that our third grandson, Edward, was born into the world. He and his mother were both healthy and he, like his cousin, Patrick, and his Creator, was also perfect. Another beautiful miracle! Heavenly Father, I give You thanks with all my heart for Your many blessings, especially for the children You bestowed on my wife and I, and now for the blessing of them having and loving children of their own. Lord Jesus, I give You thanks for being with them through their pregnancies and for holding their hands during childbirth. Holy Spirit, thank You for helping me to see God’s glory in the miracles He creates. I praise You, Holy Trinity, for filling my heart with love for You and my family. I earnestly pray for all the unborn children whose lives were ended through abortion, may they be joyfully playing in heaven; and, I pray for the parents of those children who failed to accept the miracle of Your love, may they find a way to penitently turn to You. Amen. Today, as we celebrate the Solemnity of the Immaculate Conception of the Blessed Virgin Mary, I remembered this post from a year ago. In it I pondered what it may have been like to conceive, nurture and raise our Blessed Mother from the perspective of her parents, Saints Joachim and Anne. I know it’s been six days since the Feast of the Immaculate Conception but I’m going to write about it anyway. That’s because I learned a few things that day and I want to share them with you. I’m a little embarrassed to admit that I thought the Immaculate Conception of Mary was when Jesus was immaculately conceived in Mary. When I discovered I was wrong, I learned I wasn’t alone – many cradle Catholics don’t know that it does not commemorate the immaculate conception of Jesus in Mary, which is actually the Annunciation, but, instead, the immaculate conception of Mary herself. After Mass last Monday evening, I had a chance to talk to our Deacon. I asked him, “If Mary needed to be immaculately conceived to be the mother of Jesus, then did Mary’s mother need to be immaculately conceived to bear Mary?” He explained the difference between the two. With Jesus, Mary was a virgin and God was the father (Luke 1:35 – And the angel said to her in reply, “The Holy Spirit will come upon you, and the power of the Most High will overshadow you. Therefore the child to be born will be called holy, the Son of God.”). But, Mary was conceived in the normal human fashion by the union of her parents, St. Joaquim (´Jō´·ə·kim) and St. Anne, but was made immaculate by God at the very moment of her conception. Thinking about this, I took the question back one generation and wondered if Mary’s mother, Anne, had any idea when she gave birth to her beautiful and pure daughter that Mary would eventually give birth to the Son of God? Did Mary tell her mother and father about her encounter with the angel Gabriel and that she had given her fiat, “Behold, I am the handmaid of the Lord. May it be done to me according to your word.” (Luke 1:38)? Did Anne and Joaquim, along with Joseph, hide pregnant Mary in the village of Nazareth to protect her from their society’s custom of stoning? What influence did Anne and Joaquim have upon Jesus as he grew from an infant into a young man? I kind of knew that Sts. 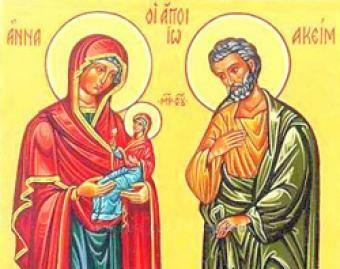 Joaquim and Anne were the parents of Mary but I wanted to find out more about them. I discovered that their names are not mentioned in the Bible and there is actually no concrete, historical evidence telling us about them. What is believed was handed down as tradition with sufficient authority that the early Church accepted it as the truth. One document that supports that tradition is the Gospel of James. While Church scholars accept that there may be parts of this infancy gospel (a story written to satisfy the desire of the early Christians to know more about the early life of Christ) which are true, they have established that it was written in the middle of the second century (c. AD 145) and, thus, was not inspired by God and is not completely reliable, or, as we say these days, “isn’t the gospel”. Another document that supports the legend of Sts. 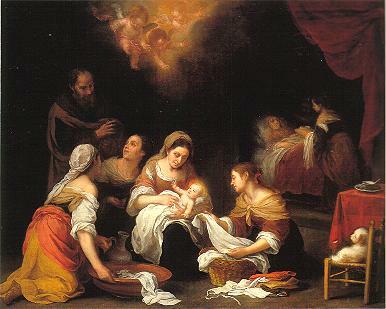 Joaquim and Anne being the parents of Mary is the book The Mystical City of God, written by a Spanish nun, the Venerable Mother Mary Jesus of Agreda (1602-1665). Sister Mary Jesus of Agreda received spiritual revelations from Our Lady about Herself and Jesus and then recorded them in her book. While The Mystical City of God is not biblical, and has often been disputed, it did, in 1949, receive the Imprimatur of the Church, declaring that the work is free from error in matters of Catholic doctrine and morals. Both documents support that Mary was made immaculate by God immediately upon her conception. Because Sts. Joaquim and Anne, after being married for twenty years and unable to bear children, had their prayers answered, they raised their daughter, Mary, as a consecrated temple virgin and she remained unstained and free of sin her entire life. As for my questions, I can only speculate. But, there was a certain spiritual satisfaction in contemplating the answers. I doubt Sts. Anne and Joaquim had any idea when they discovered they were going to be parents that they would one day be the grandparents of the Lord. But, because they had longed for years to have a child, I’m sure they loved Mary immensely and nurtured her such that her destiny of one day being the Mother of God would be fulfilled. I imagine that in the town of Nazareth, a village of probably no more than a hundred or so people, many of whom were most likely related, it could have been difficult to hide the fact that Mary was pregnant. I’d bet there were some tense days and sleepless nights as they discussed what to do. I imagine that Mary loved, cared for, and nurtured Jesus by following the example set for her by her own parents. And then, finally, I’m sure that the strength, courage, and will that Mary had to have to keep believing as she watched her son being crucified had to be a result of the strong faith instilled in her by her parents and further strengthened by the Holy Spirit. I can only imagine what might have happened. But, there’s one thing I’m sure of: God had a plan from the beginning. In it, He cherry-picked all the players, beginning with Joaquim and Anne, blessed them and filled them with His grace, and then sat back and watched them carry it out perfectly. Today, two thousand years later, are we honoring, through thankful prayer, the execution of His wonderful plan and its ultimate, divine creation, our Lord, Jesus Christ? 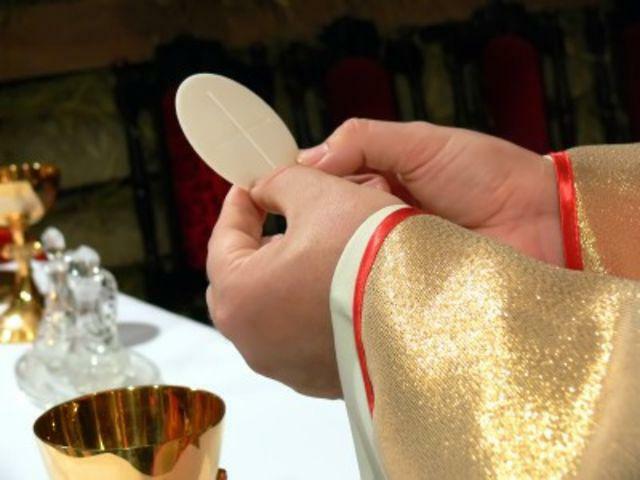 ©2014, 2015 Reflections of a Lay Catholic. Reposting and sharing of material in its full and original content is permitted, provided that full and clear credit is given to the author(s) and Reflections of a Lay Catholic. Since New Year’s Day I have thought, like many people, that I should make a new list of resolutions, goals, objectives, or whatever you want to call them, to begin 2015 on the right foot. All the usual ideas have come to mind: lose weight, get more exercise, get organized, spend more quality time with my family, become a better husband, father and friend, and various other things, all of which are supposed to bring happiness in life. Then I remembered the feelings of defeat from last year, and years prior, as I failed to meet the expectations of my resolutions, and I began to feel depressed. Yesterday as I was mulling over ways to do better, my mind wandered and I began thinking about how I’ve been celebrating the days of Christmas, or, more accurately, how I haven’t been celebrating them as I had resolved to do during Advent. I counted the days since Christmas Day and realized we were at Day 9. Nine Ladies Dancing as the song goes. I recollected reading about the mystery and lore surrounding the carol, The 12 Days of Christmas. Googling the song to learn more, I found that it was written sometime during the mid-1500s to mid-1800s, when Roman Catholics in England were forbidden to practice their faith, as a catechism song for young Catholics; and that each daily “gift” was secret code for a religious belief. For example, “My True Love” is God, a “Partridge in a Pear Tree” is Jesus Christ, and the “Four Calling Birds” are the Gospels of Matthew, Mark, Luke and John. And then there are the “Nine Ladies Dancing” which are the nine fruits of the Holy Spirit according to St. Paul, (Galatians 5:22-23): Love, Joy, Peace, Patience, Kindness, Generosity, Gentleness, Faithfulness, and Self-Control (the Catholic Catechism, CCC 1832, adds Suffering, Modesty and Chastity to make the traditional 12 fruits). It occurred to me that the truly successful person is one who exhibits the fullness of these nine fruits through resolutely practicing them in his or her life. And, it seemed that focusing on them ought to enable one to indirectly realize success with just about any of the other typical, and usually secular, resolutions with which we struggle every year. For example, by practicing Self-Control, I will eat healthier and exercise regularly, thus losing those extra pounds which have accumulated around my middle. Living life daily with more Love, Joy, Kindness, Generosity, and Gentleness will improve the moments I have with my family and friends. Having Patience and Self-Control will help me become more organized. Focusing on Peace, Love, Patience and Kindness will help me to become a better servant-leader at work with my employees. And Faithfulness, along with actions employing the other eight fruits, will help me become a better disciple of Christ. Today, as I’ve thought more about these, I think I’ll add the four cardinal virtues of Prudence, Justice, Fortitude and Temperance, and the remaining theological virtue of Hope (Faith and Love are already covered), to the nine fruits upon which to build my personal and detailed list of “resolutions” for this year. I believe if I focus on being more loving and charitable; on opening my heart to the joy I receive from God’s gifts to me; seeking peace and justice for all; being prudent and patient, kinder, gentler, and more generous; having a deeper faith based on the hope of eternal life, and trust in God; improving my self-control through moderation and self-denial; and developing strength and courage in times of temptation, I will look back at the year 2015 and consider it a success. Won’t you join me and consider writing your New Year’s resolutions this year by focusing on the processes, the fruits, rather than the end goals? I know it’s been six days since the Feast of the Immaculate Conception but I’m going to write about it anyway. That’s because I learned a few things that day and I want to share them with you. I’m a little embarrassed to admit that, after being Catholic for a year and a half, I still thought the Immaculate Conception of Mary was when Jesus was immaculately conceived in Mary. When I discovered I was wrong, I learned I wasn’t alone – many cradle Catholics don’t know that it does not commemorate the immaculate conception of Jesus in Mary, which is actually the Annunciation, but, instead, the immaculate conception of Mary herself. After Mass last Monday evening, I had a chance to talk to our Deacon. I asked him, “If Mary needed to be immaculately conceived to be the mother of Jesus, then did Mary’s mother need to be immaculately conceived to bear Mary?” He explained the difference between the two. With Jesus, Mary was a virgin and God was the father (Luke 1:35 – And the angel said to her in reply, “The Holy Spirit will come upon you, and the power of the Most High will overshadow you. Therefore the child to be born will be called holy, the Son of God.”). But, Mary was conceived in the normal human fashion by the union of her parents, St. Joachim (´Jō´·ə·kim) and St. Anne, but was made immaculate by God at the very moment of her conception. Thinking about this, I took the question back one generation and wondered if Mary’s parents, Anne and Joachim, had any idea when their beautiful and pure daughter, Mary, was born that she would eventually give birth to the Son of God? Did Mary tell them about her encounter with the angel Gabriel and that she had given her fiat, “Behold, I am the handmaid of the Lord. May it be done to me according to your word.” (Luke 1:38)? Did Anne and Joachim, along with Joseph, hide pregnant Mary in the village of Nazareth to protect her from their society’s custom of stoning? What influence did Anne and Joachim have upon Jesus as he grew from an infant into a young man? I wanted to find out more about Joachim and Anne. I discovered that their names are not mentioned in the Bible and there is actually no concrete, historical evidence telling us about them, but what is believed was handed down as tradition with sufficient authority that the early Church accepted it as the truth. Another document that supports the legend of Sts. Joachim and Anne being the parents of Mary is the book The Mystical City of God, written by a Spanish nun, the Venerable Mother Mary Jesus of Agreda (1602-1665). Sister Mary Jesus of Agreda received spiritual revelations from Our Lady about Herself and Jesus and then recorded them in her book. While The Mystical City of God is not biblical, and has often been disputed, it did, in 1949, receive the Imprimatur of the Church, declaring that the work is free from error in matters of Catholic doctrine and morals. Both documents support that Mary was made immaculate by God immediately upon her conception. Because Sts. Joachim and Anne, after being married for twenty years and unable to bear children, had their prayers answered, they raised their daughter, Mary, as a consecrated temple virgin and she remained unstained and free of sin her entire life. I doubt Sts. Anne and Joachim had any idea when they discovered they were going to be parents that they would one day be the grandparents of the Lord. But, because they had longed for years to have a child, I’m sure they loved Mary immensely and nurtured her such that her destiny of one day being the Mother of God would be fulfilled. I imagine that in the town of Nazareth, a village of probably no more than a hundred or so people, many of whom were most likely related, it could have been difficult to hide the fact that Mary was pregnant. I’d bet there were some tense days and sleepless nights for a while as they discussed what to do. I can only imagine what might have happened. But, there’s one thing I’m sure of: God had a plan from the beginning. In it, He cherry-picked all the players, beginning with Joachim and Anne, blessed them and filled them with His grace, and then sat back and watched them carry it out perfectly. My answer to the first question has always been easy for me to explain. Simply put, it was God bringing to fruition my deepest and longest held desires within hours after my witnessing the positive power of prayer and, because of what I had seen and heard, deciding to take a leap of faith by getting down on my knees and praying to Him for help in making those dreams come true. But, I’ve always had difficulty answering the second question. With respect to Him answering those particular prayers, I certainly felt immense relief and tremendous joy. But, how did I feel about the fact that He answered my prayers at all? That’s a totally different feeling and the one I’ve struggled with adequately describing. Even as late as this last Sunday, when I related my story in a witness I gave at a men’s Christ Renews His Parish retreat at our church, I still couldn’t do it justice. I know I was amazed, but amazement is a condition of the mind, and there was more to it than that. It felt more like an affair of the heart than of the mind. It was like an instantaneous falling in love and then feeling that same love being reciprocated. Then, on Monday, in a God-moment, I found the best answer I can expect to find. I was flying from Chicago to Houston and I couldn’t sleep because the lady behind me, bless her heart, could not keep her two year old son from screaming the entire three hours of the flight. So, I pulled out my bible and opened it to a random page. That page happened to be the start of chapter 24 of the Gospel of Luke. 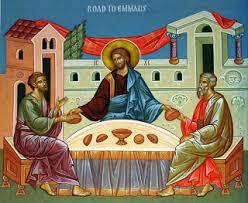 Starting at verse 13, Luke recalls Christ’s Appearance to the two Disciples on the road to Emmaus. After Jesus said the blessing and broke bread with the Disciples, and their eyes were suddenly opened and they realized it was Jesus with whom they had been walking and talking, He disappeared from them. That is precisely what happened that weekend in April 2012. Through the men of that Christ Renews giving team, Jesus, by the Light of the Holy Spirit, opened the scriptures to me and set my heart aflame. That’s how it felt when I discovered the Truth – my heart was on fire. And, it still is. After saying a little prayer of Thanksgiving for this revelation, I pondered why this happened to me. To this I came up with my own answer: my heart was open to the truth that weekend two and a half years ago. I was tired of fighting it, tired of trying to do everything on my own and getting nowhere. By deciding to go on that retreat I cracked the door open enough to let God into my life. But, more specifically, I wondered why it doesn’t happen to more people. In thinking about my own life up to that point, I saw where there are varying degrees of unbelievers. There are those who are just outside the margin, like I was most of my life. Then there are the unbelievers who fight hard to not believe. Their doors are not just shut, they have deadbolts on them. The first might be perpetuated by a certain laziness or simple self-reliance, but I think the latter is due to fear. Fear of being wrong. Either way, I know now that folks on both those shores are missing the boat. And, in doing so, they are missing out on that wonderful feeling of burning love within their hearts. It’s ironic, though, that all it takes to get that feeling is to give in to the One you have fought so hard against, and to open your heart a crack, just enough to let the Light shine in. That’s our challenge as Christians in trying to bring others to Christ. How do we convince them to not be afraid, to see that there is goodness in the Alternative, and that life is so much easier and sweeter when the locks have been removed and their hearts are freely open? I have now been Catholic for a little over 13 months and I have finally realized and accepted that I will never stop learning about my faith and discovering what it means, to me, to be a Christian. There is just so much to wrap my mind around. It seems that every time I open and read passages from the bible, read my daily devotional by St. Augustine, meet and discuss my faith with my men’s group, or other such opportunities, I have a new revelation that is either a totally “Ah-ha” moment or, at least, clarifies something about which I have been unsure. Most of the time I feel as if I’m the last Christian in the world to “get it”, but, then, I realize there are probably others out there who are in the same boat as me. And, so, I write about it to both help me better understand and with the hope that I might reach one of those folks and bring him, or her, a little closer to Christ. Besides praying for God’s help, there is one other standard fixture in my daily prayers: “Please, Lord, fill my heart with Your Holy Spirit and Your love so that, as Your disciple, I may readily give it away to others.” When I think back to times when I was particularly “in the Spirit”, such as after a Christ Renews His Parish weekend, or after an especially gratifying Adoration hour, I believed I had been graced with the Holy Spirit during that particular instance. Thus, as my spirituality waned from time to time, I prayed to be “revisited” and “renewed”. This was an “Ah-ha” déjà vu moment all over again. St. Paul was telling me that, just like praying for help, I don’t need to pray to be filled with His love and Holy Spirit, I already have it in me, it was a gift I received at my baptism. But, I admit, I’ve had to think about and digest this a bit. If this is true, if I indeed have a continuous supply of high octane Spirit in my tank, why, then, do I feel I need to be refueled from time to time? After days of contemplation, I decided the answer to that question was that the standard to which I had been comparing the amount of energy, or Spirit, I had in my tank was flawed. It was inflated. Those times when I felt farthest from Christ were not because my tank was getting close to empty, but rather that, in those moments when I felt closest to Him, my engine was turbo-charged and running like an Indy car. Well, as much as I like the exhilaration that goes along with moments like that, I know it is not sustainable. As much as I would like to feel that rush every day, I know I can’t handle it. My life would be a wreck. I need days when I can only run at the speed limit. I accept, too, that there will be days when things beyond my control force me to slow down, and days when my engine conks. I’ve been kicking this idea around in my head for a couple weeks, trying to be sure I had it right. In fact, everything written up to this paragraph has been written for many days. But, actually, I felt stuck. In the back of my mind, it seemed there must be a reason why we Christians, or perhaps simply us humans, cannot sustain the continuous rush of an emotional or spiritual high, and I wasn’t sure why. So, in the hopes of bringing closure, I brought it up two nights ago at my Men’s Bible Study meeting thinking that they might shed some light on the idea and get me beyond my impasse. And, they did, at least in a way that makes sense to me. My friend Carl told me that our mutual friend, Jim, once explained to him that folks who constantly seek that rush tend to be in love with the feeling. But, he said, we can only mature as Christians by understanding and accepting that it is Christ with whom we should fall in love instead of the experience. Only in this way can we build that personal relationship with Him. And, believe it or not, while typing that last sentence, I had another déjà vu moment. Those words sounded familiar. I found them in my blog post Are You In the Garden or in the Desert? from back in February . With quotes from Fr. Robert Barron and Archbishop Fulton Sheen, I used that very thought to explain why we go through spiritually dry periods. I suppose at the time it didn’t occur to me it could be the anecdote for why our spiritual highs need to be limited, too. “Lord, help me to always seek to understand Your Word and to never stop learning how to do Your will”. Every six weeks or so when I see my friend, Tim, I get asked the question, “Hey, Jer, how’s your spirituality?” The neat thing is he’s not just making small talk, he’s sincerely interested in knowing how I’m doing spiritually and is willing to jump in and give me a boost if I need it. The first time he asked me I was taken by surprise and didn’t know what to say, so I gave him an automatic, “Great, everything’s wonderful!” response. The next time I was a little better prepared and, fortunately for me, I was being truthful when I said, “Man, it couldn’t be better.” The third time he asked, I hesitated because, although I wanted to tell him everything was fantastic, I would have been lying. Instead, I gave him a tentative look and said, “Well, actually, I’ve been going through a little dry spell lately.” And then, true to form, he helped me talk through it and helped me get back on track. Tim’s concern for not necessarily just my physical well being but, instead, for my spiritual health, is a good example of the type of friend I’ve made since becoming a Christian. I have been blessed with many friends just like him. First, I thought I needed to define Spirituality. So, I Googled the word hoping to find a dictionary but the first hit that came up was a link to the Student Wellness Center at Ohio State University (go figure?). Their definition of Spirituality started out like this, “Spirituality is not religion and is not even necessarily affiliated with religion.” I thought, “Hmm, the heck you say!” Obviously, this was not going to get me close to the spirit (pun intended) of what Tim was asking. Finally, in checking Webster’s dictionary, I found a suitable definition – “Spirituality: The sensitivity or attachment to religious values”. I thought, “Now, I can work with that!”. The word “Sensitivity” lends itself towards how I feel about my religious values. Generally, from one day to the next, I feel grateful, excited and full of hope about my faith in God, my acceptance of Jesus Christ as my Savior, and my desire to live life as He wants me to live – full of charity for, and service to, others. It feels good to acknowledge and accept His love, and to recognize and proclaim my love in return. But, I have so-so days at times, too. These are when I feel overwhelmed trying to understand everything; feeling confounded that I can’t get the pieces to fit together, which causes me to doubt; and days when life simply gets in the way and keeps me from those precious prayer moments. The second part of the definition is, “Attachment to religious values”. Unlike the feelings related to sensitivity, “Attachment” conjures up the idea of putting that acceptance into action. Again, there seem to be different levels of qualification to this aspect. The best days seem to include some element of showing kindness to others – there’s not much that feels better than that. I admit I feel pleased with myself when I go out of my way to help others. Same thing for sacrificing for others – there’s just something special about it. And then there’s prayer. The act of telling and showing Him my love, and accepting His love, definitely produces a spiritual high. I’ve noticed, too, the wonderful feeling, the positive self-affirmation, when I do something that appears to influence and lead others toward Christ. I feel like I’ve earned my pay for the day. In business it’s often said, “Some days they pay me too much and others they don’t pay me nearly enough.” The same goes with spirituality, I think. There are days I just don’t earn the right to feel very spiritual. Days when I don’t act with love to others. Times when I take out frustrations either intentionally or unintentionally on others. And, worst of all, when I sin and I know I’m sinning but I do it anyway. I’m thankful this doesn’t happen often but when it does it feels devastating. When I look at those actions in retrospect, I know that Jesus is weeping for me. When I became Catholic, many caring friends, Tim and others, cautioned me to take it easy, to accept a certain slowness to the learning process. Sometimes I just don’t want to go slow. But, I think they’re right. It’s easy to put the cart before the horse, as the saying goes, and get ahead of myself in trying to understand Christianity and trying to live it like a saint. I kind of feel like a newbie golfer who is just learning the game but gets frustrated because he can’t shoot par. It’s easy to lose sight of the fact that even the pros don’t always shoot par. During this exercise of examining my spirituality I’ve learned a few other things, too. I’ve found that when I pray, when I read the scriptures, study the bible, and associate with other men and women who do the same, I begin to understand what was in Jesus’ mind and I think I’m starting to think more like he did. My mind is becoming renewed. Instead of just existing in the flesh like I did for years, I have begun existing in Spirit, too. I think my mind has reached a higher level because of its connection with the Holy Spirit. I am so very grateful to all the people who have gently pushed me, pulled me, guided me, offered insight along the way, and waited at each way-point with open arms and a knowing smile. I appreciate friends like Tim, the guys in my bible study group, the men and women on the Christ Renews His Parish teams, and my family who care enough about me to ask about my spirituality, my walk with God. It’s heartening to know that, as I move ahead, you will be there for me. God bless you all.